Not sure where to post this as it's both DIGIC 7 and 8 related. Thanks, I wasn't aware of this difference. I am a new comer to magic lantern community. I have successfully dumped the ROM and CPU info from my M50. May I ask what this the next step in the development? I was trying to use QEMU but do not know how to "clone" it to my computer. Consulting someone with experience could provide me with further steps in development. In this case, it's probably best to upgrade the codebase now, while there are not too many stubs and other firmware-specific constants. 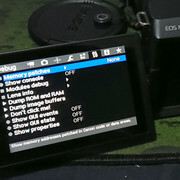 That could be an easy coding task for newcomers, as it's just a matter of pattern matching between the two firmware versions (and it helps you get familiar, to some extent, with Canon's code structure). As usual, once you are ready to run and debug the proof of concept code on the camera, I'm also ready to enable the boot flag. The procedure was already tested on EOS R, so I don't expect any surprises. 1. Improves reliability of communication with external flashes. It now works with yongnuo flash triggers. The FIR for enabling the boot flag is expected to work with any Canon firmware version (1.0.1 or 1.0.2 or any future version). However, the code from the digic6-dumper branch ("Hello World") expects firmware 1.0.1; otherwise, it simply won't boot. Support for firmware 1.0.2 is left as an easy coding "qualification" task for whoever is willing to help me on this long jurney. After enabling the boot flag, you will need to make your card bootable (EosCard/MacBoot/make_bootable.sh) and compile the proof of concept code from the digic6-dumper branch. Awesome, Alex! Might be the most hardest camera to port? It has some bits from PowerShot firmware, which makes it a bit different from all other EOS models. I mean, porting ML is no longer going to be "just" pattern matching; there will be parts of the code requiring wrappers or other "creative" solutions, not required on other models. That's where the difficulty comes from. Trivial example: I could not find one of the stubs (GUI_Control), so I wrote a function that did the same thing, from scratch. I believe it's present on all regular EOS models (80D, 5D4, 200D, 77D, 7D2 and so on). 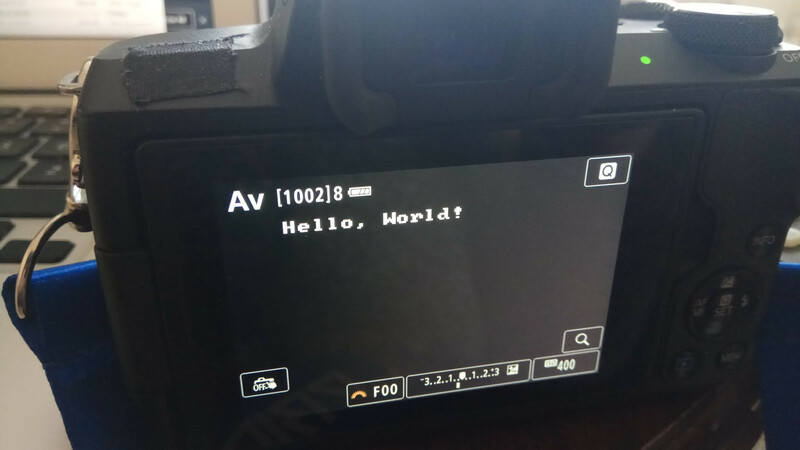 Another example - Canon blocked the Delete button in plain LiveView (since it's unused in their firmware in that mode), but I wanted it for ML menu, for consistency with all other models. This camera doesn't have a MPU, but has the PhySw task (like any other PowerShot), i.e. physical button status is directly visible from the main CPU. So, I've used that to detect the Delete button. 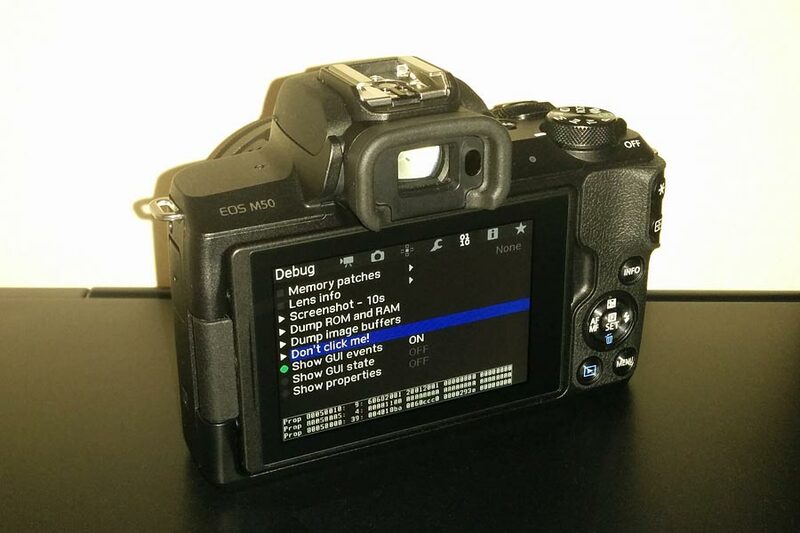 That trick is not applicable to 80D, 5D4, 200D, 77D and others - these are "classic" EOS firmwares, with MPU. However, I see this as an advantage of the PowerShot firmware - if Canon did the same with the Delete button on say 200D (I don't know if they did or not), I might not be able to find a workaround. Another quirk: exposure is stored internally in 1/3 EV steps (1 raw unit = 1/3 EV). On DIGIC 5 and earlier models, they use 1/8 EV steps (so 1/3 is actually 3/8, and 2/3 is actually 5/8). Not sure if this applies to other new models, or it might be a M50 quirk; need to check. You'll see these bits once I'll clean up and publish the source code. Unsure about the EOS R - that one seems closer to "classic" EOS firmware, at first sight. 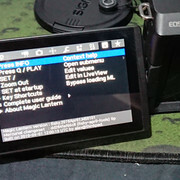 For example, there are signs of a MPU being present, but button handling code looks similar to M50 (or, rather, something in-between M50 and "classic" EOS firmware). BTW, Greg already sent me the updated stubs for 1.0.2, so the next build will run on latest firmware. I saw the bench.mo in the software. Anyone tried the fastest write speed in play mode? That screenshot was with SanDisk Extreme Pro 32GB UHS-I (this one). Didn't try others yet. Do they have any documentation on this overclocking mode? I believe it's 27 MHz x 12 channels (from the silent picture mode, which runs at about 300 MPix/s). Yeah. I'm rather interested in capturing unpredictable action (i.e. kids), and a 12-fps full-res burst could be exactly what I need. I'm not going to save all these frames - only 2 or 3 of the best ones, as selected by the AI. The feature is already implemented in the regular silent picture module (Best shots), but is limited to 1080p resolution (and, unfortunately, focus evaluation is broken when using crop_rec). There is another nice feature in DIGIC 7 and 8 - they both use dual-core Cortex A9, with MMU. That is, we can easily remap the entire ROM contents into RAM and patch it away! You've read that right - it is *trivial* to make *any* temporary changes to ROM contents! No other camera generation has this ability! DIGIC <= 5 have this ability to a very limited extent ("cache hacks"). All our attempts to unlock this ability DIGIC 6 were... unsuccessful. This (ability to patch the ROM contents) is not required for porting the basic ML functionality, but it is certainly helpful with the advanced stuff (crop_rec, adtg_gui, sd_uhs and others are using it). Yep, I've got it to replace the good old 5D3. The "when" question is well covered in the FAQ and previous topics, but I'm trying to find a way to speed up the process. I know about "when", just kidding Just happy with fact there's some "visual" progress after 2 or even 3 years of researching. 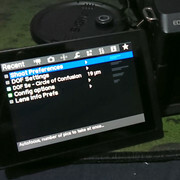 What's difference that M50 has EOS firmware? ... one doesn't have to rewrite ML from scratch. Not the only one to try it... I love living on the bleeding edge! We are all really looking forward to seeing where this beautiful work will end up... Thank you very much @a1ex for all your hard work so far!